My oh my! I never understood why a fish would be called a cat; not until I saw it’s whiskers of course. After years of not eating cat fish, I decided to research ways to clean it and after asking 101 questions, I came up with the best and working process for me; which I hope works for you too. For some, alum works the magic; just like with cleaning snails. Now, what is alum? Alum is a chemical compound which is the hydrated form of potassium aluminum sulfate. Although it does have a lot of amazing benefits, I try to stay clear of these chemicals except I really have the need for it. For some, the use of ash and a sponge works. 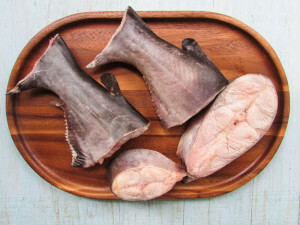 It was so fascinating to read what some of the members of the Facebook food group “So you think you can cook” had to say about cleaning cat fish. Some used ash, salt, lemon, lime and the list goes on. 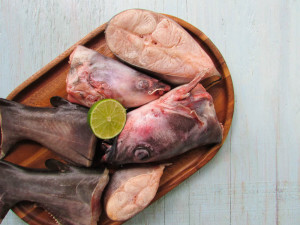 I have to say, this process is simple and short, but if you are using the fish’s head; then special attention has to be paid to it as it does contain a lot of blood and can hoard worms easily as opposed to the other parts of the fish. Cat fish are known to roll in mud; hence it is easy for anything to breed inside of them. 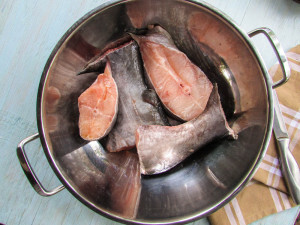 When it comes to cleaning the other parts of the fish, I use hot water and a blunt knife. And as for the head, I add some salt and a little lime to help with the cleaning process. you could also use your fingers instead of a blunt knife to just rub the slime off after soaking it in hot water. 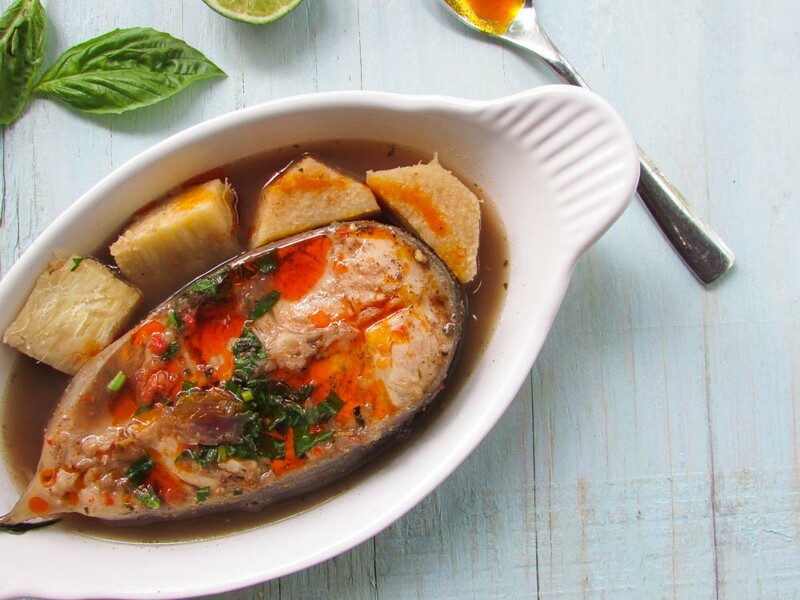 If you have a problem using the hot water as a process, try dipping the fish into the hot water and removing it promptly. Or you could use the alum method to wash off the slime. soak alum and fish in some warm water and wash gently with your hands. 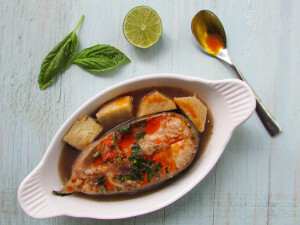 This entry was posted in Barbecue Recipes, Barbecued fish, fish, Fish peppersoup, Fish recipes, fresh fish peppersoup, sea food, Uncategorized and tagged Alum, benefits of alum, fresh fish peppersoup recipe, how to, How to clean cat fish, How to clean fish, How to posts, Nigerian food blog, uses of Alum, uses of catfish. Good one. Thanks Lazy chef! I’ve tried it several times, it works like charm!?? I’ll try this method when next I’m cooking cat fish. Thanks for sharing this article. I am a firm believer that catfish skin should be removed. All those in agreement say amen! Okay, I’m done. 1st time commenting I love your blog. oh my! tnx Nma. 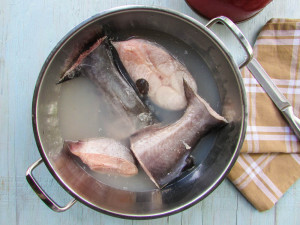 My boyfriend likes catfish pepper soup but am not a fan of washing out d slime….yuck! d slime always make me wanna puck! am trying this process already.Hmmmm…..can’t wait 4d water 2boil….tnx so much Nma!!!! Thank you, Nma for your post. 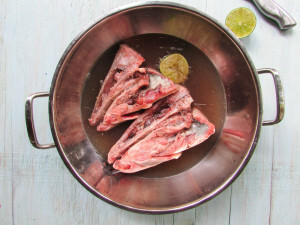 I have been looking for an easy way to clean catfish before cooking. I ll definitely try this method. Off I go, to put water on fire.